2.The macbook SSD need more power to work. You need connect the dual usb port data cable, otherwise the SSD can't work. 3. the windows cannot read any mac format SSD, you need to format it first for windows. 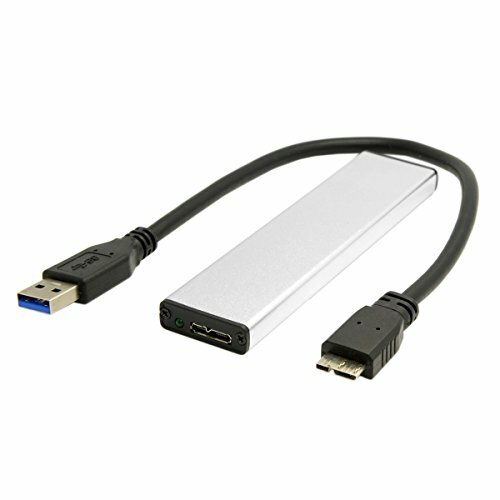 The PCBA can convert the Macbook Air SSD to USB 3.0 port. The SSD hard disk is not included. 1.The hard disk must be 6+12pin(the other SSD cannot work)2.The macbook SSD need more power to work. You need connect the dual usb port data cable, otherwise the SSD can't work. 3. the windows cannot read any mac format SSD, you need to format it first for windows.